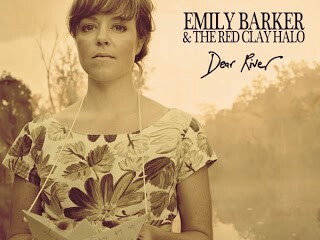 When we reviewed Emily Barker and The Red Clay Halo’s fourth album a couple of months ago, we knew we were listening to something special. It was a magical blend of classical, rock, country and folk influences and it worked a treat. Singer-songwriter Emily originally hails from Australia but is now based in the UK, which is a good thing as we brits appear to love her. Having released three critically acclaimed albums and written the award winning themes for Wallander and The Shadow Line, Emily is well on her way to becoming a household name and we chatted to her about Dear River, her recording process and musical influences. Your new album was released last month, can you tell us a little bit about it? Emily: The recording process was incredible as it was organised by our audiophile record label: Linn. They teamed us up with an incredible producer/engineer called Calum Malcolm (The Blue Nile, Lau, many other greats) in a studio he designed himself, located in Glasgow called Gorbals Sound Studio. It was state-of-the-art and it was any recording artists dream come true. We did 13 songs in 10 days and I’m really proud of the outcome. Listeners can expect a more “high-end” sounding record I guess as well, as we’ve gone for a rockier sound than previous records – I think it’s important to always push yourself in new directions and that’s what we’ve done with Dear River. 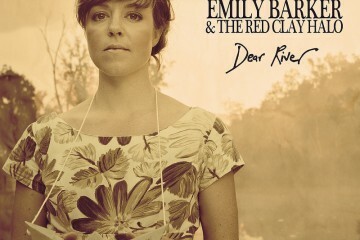 Emily: I guess folk/pop/Americana/slow-core ? It’s quite ambient and sparse in places with the string arrangements and vocal harmonies, but we also do the more straight alt-country rock thing on a few numbers now. I’m so bad at answering this question, hopefully that gives an outline. Emily: Neil Young is a huge inspiration for me. I grew up listening to him because my dad is such a fan. I discovered soul when I was a teenager and was obsessed with trying to sing like Aretha Franklin, Koko Taylor, Betty Lavette and other amazing women soul and blues African/American singers. A more contemporary influence is PJ Harvey and especially ‘Let England Shake‘, it changed my life actually – so poetic. Gillian Welch is also right up there in top 5 I reckon. What’s been your best gig so far? Emily: One of them would have to be when in ‘Folk in a Box’. It’s a one-on-one experience where a performer sings one song to one audience member in the dark, inside the smallest music venue in the world. It’s incredible to perform with absolutely no barriers. Emily: Breaking Bad or Deadwood – my two all-time fave series. Where in the world do you most want to perform? Emily: America America America America! Can’t wait to get there and experience just how vast the place is. Emily: I think it would have to be when we came off stage after our sold out Union Chapel headline show last November. For about 8 years it had been my goal to headline that beautiful venue and we sold it out! It was such a moment for me and The Red Clay Halo. A wonderful milestone. Emily: A punk band from Devon called Crazy Arm, an Austin Lucas record called Somebody Loves You, Phosphorescent Muchacho, The National Trouble, Chris TT’s forthcoming album The Bear, and Nick Cave Push The Sky Away.